Not all investments are linked to future goals. Here are 4 investments you shouldn't expect any return from. Insurance should be linked only to the goal of providing financial protection to the family in the case of one’s untimely death. Not all your investments are likely to be linked to definite future goals. ET Wealth looks at the four important investments from which you should not expect any return. Emergency fund: This is a corpus kept aside to meet unforeseen expenses such as a job loss, medical emergency or big-ticket repairs. The emphasis here should be on keeping the money secure rather than making it grow. “If you invest this money to earn returns, you will compromise on its safety by exposing it to market volatility. It may even decline in value in the short term,” says Amit Suri, CEO and Chief Financial Planner, Aum Wealth Management. A savings account in a bank or liquid funds are the best avenues to park an emergency fund as they ensure liquidity. The yield will be low, but the aim is not to generate an income or have a good rate of return, but to provide you with cash in the event of an emergency. 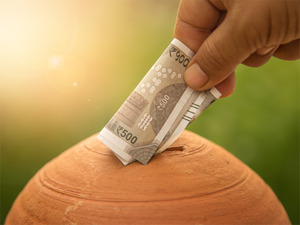 “A liquid fund or low duration fund is a better option over a savings account as money lying in a bank account may get spent,” says Sanjiv Singhal, Founder and COO, Scripbox. Liquid funds allow instant withdrawal of up to Rs 50,000 or 90% of the folio, whichever is lesser. Life insurance: A term plan will pay your family a predetermined amount of money in the event of your death. If you survive the term, you don’t get anything. That’s the gist of insurance. However, in an attempt to gain something out of the money people pay to the insurance companies as premium, many buy a traditional plan instead. By mixing insurance with investment, they defeat the purpose of both. The returns on an endowment policy are less than 6%, which is meagre for a goal with a time horizon of 20 years. More importantly, you end up paying hefty premiums for a small cover. If a 30-year-old male buys LIC’s New Endowment Policy for a Rs 20 lakh cover over 25 years, he will pay an annual premium of Rs 77,200. If you want to pay a lower premium, you will be left with an even smaller cover. Insurance should be linked only to the goal of providing financial protection to the family in the case of one’s untimely death. Gold jewellery: Jewellery is the most traditional form of buying gold. While gold in itself may not be a bad investment, buying it through the jewellery route is a bad idea for several reasons. First, in buying gold jewellery you have to shell out 10-35% extra as making and wastage charges. Second, selling gold is tough. Most reputed jewellers exchange jewellery for other ornaments instead of paying in cash. The jeweller from whom you bought the jewellery in the fi rst place may pay you in cash, but only after deducting the making and wastage charge. “With each purchase and selling of gold jewellery, the buyer incurs a cost and loses on its value. This is exactly opposite of what an investment should do,” says Suri. Finally, we buy gold jewellery for the purpose of wearing it on occasions and not as an investment linked to a future goal. You may sell it during a financial difficulty but only with the intention of replacing it sometime in the future. Jewellery is only a symbol of wealth, which does not generate any profits for us. Gold ETFs are a much better way of investing in gold. House: Similar to gold jewellery, the house you live in is a possession that you consume. “You are unlikely to sell your house to meet a future goal. For this reason, it’s an asset and not an investment,” says Singhal. Even if you sell your house, another house will have to be bought with that money or rent will have to be paid if you don’t choose to buy. So, even if your home depreciates in value, you should not get worried. However, a second property will be a part of your personal wealth as it may generate an income and the change in its price will affect your overall net worth.